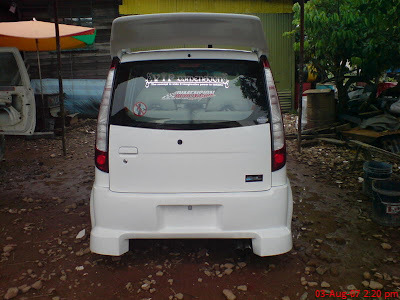 Perodua Kenari is one of the best selling Perodua car in Malaysia. 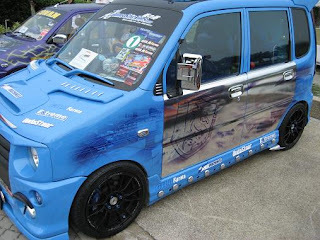 Not only it is so affordable and fuel-economy, yet it looks damm nice even with only little modification, which makes it one of the car lover's choice. 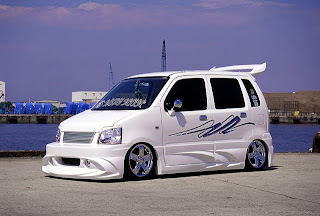 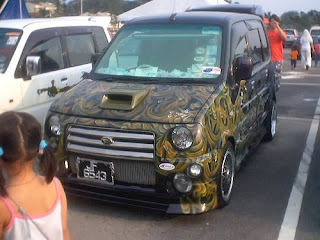 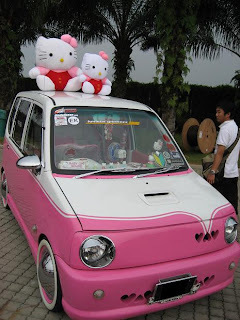 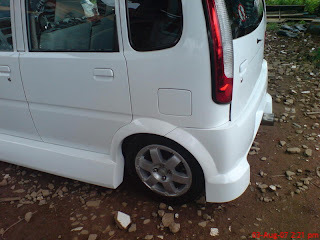 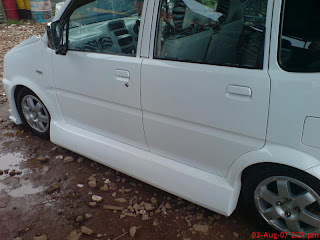 These are some photos of Perodua Kenari after heavy customization. 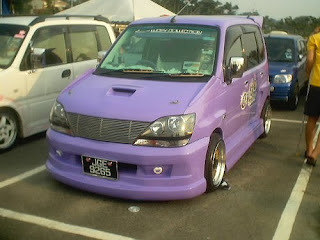 Headlamp for this Purple Kenari are also different, anyone knows what head lamp is that? 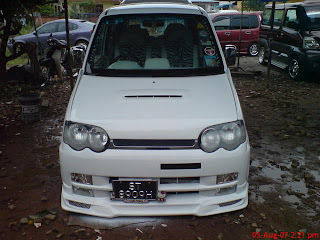 White Kenari with simple Gold-coloured vinyl, and BMW headlamp I supposed..
Can u tell me where they all make widebody? 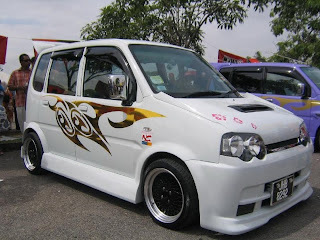 if can around KL-Selangor and reasonable price shop.